Lettuce wraps are great but a true burger needs to have a bun. 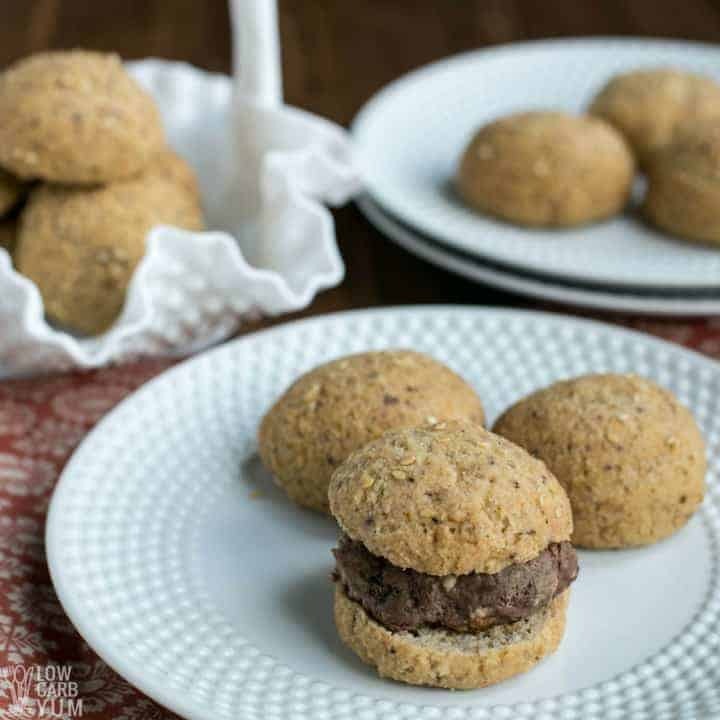 Here’s how to make low carb keto hamburger buns easily at home with little prep time! 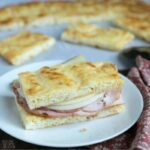 Are you looking for a good low carb bread roll to serve with burgers? Eating hamburgers with conventional buns significantly plummets the nutritional value no matter how healthy the meat is. That’s because your average standard potato starch or flour contains about 70% carbs. And those carbs, of course, are not the fiber-filled nutrient-rich kind of carbs you get from veggies or fruits. Regular rolls are a recipe for inflammation. 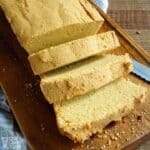 Almost everybody knows that the bread is made out of wheat flour, sugar and yeast. But what’s not well known is that soybean oil is often used to make your standard fast-food bun. Soybean oil is extremely high in omega 6 fatty acids. Although omega 6’s are a polyunsaturated fat that may offer some health benefits, most people consumer far too much of it. In fact, most people consume up to 20 times as many 6’s as omega 3’s. What’s a healthy ratio of omega 3’s, which is a potent nutrient for preventing heart disease, and omega 6’s? More like 1:1. At most, you should only be eating four times as many 6’s as 3’s. You’ll have to excuse me. I’m probably preaching to the choir. 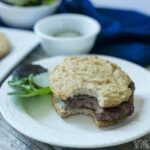 After all, if you’re interested in learning how to make keto hamburger buns, you most likely already know these facts. 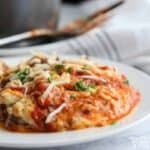 Unlike the conventional way to make them, for this recipe, you won’t need dough conditioners or artificial emulsifying ingredients. Likewise, you won’t need to add any fermentation agents or amino acids. What will you need? 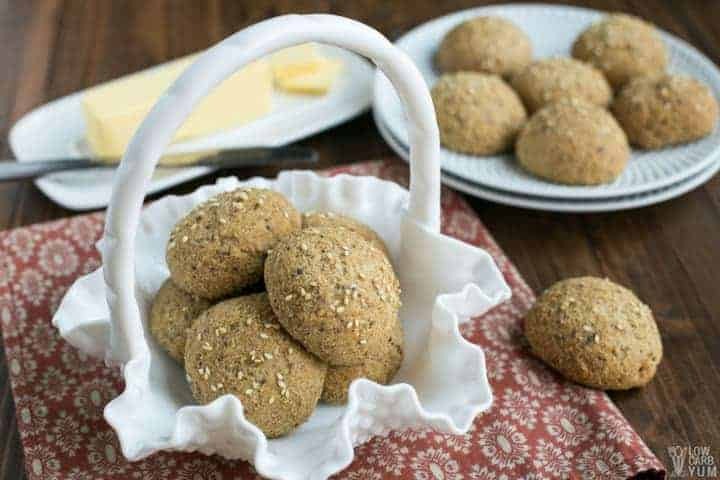 To make keto hamburger buns, at least the way I make them, below, you’ll need egg whites, almond flour and psyllium husk. Obviously, if you have an allergy to nuts, you won’t be able to make them the way I do. If this is the case for you substitute almond flour with coconut flour. 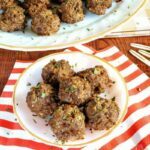 If you’ve never baked with psyllium husk, you might be asking why it’s an ingredient in this recipe. After all, isn’t it used to relieve constipation? Yes, but it’s also a natural emulsifier common in gluten-free recipes like this one. 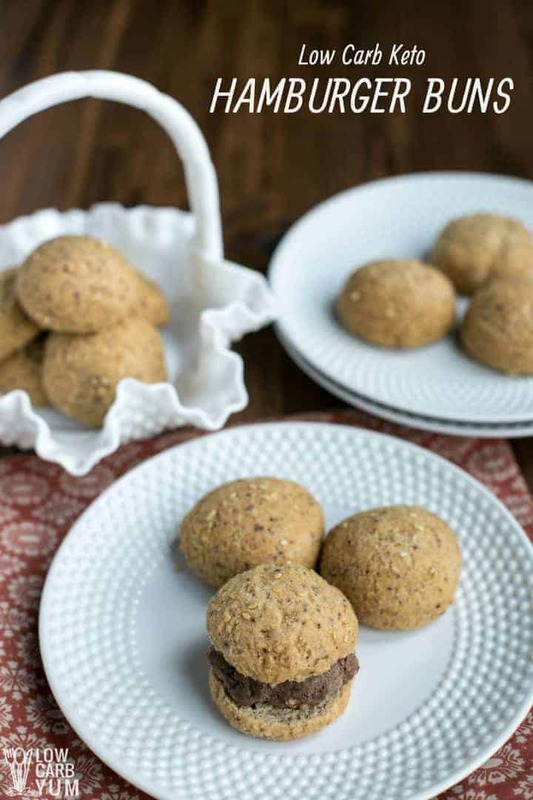 Along with guar gum, psyllium is a great surrogate for gluten-rich baking recipes. 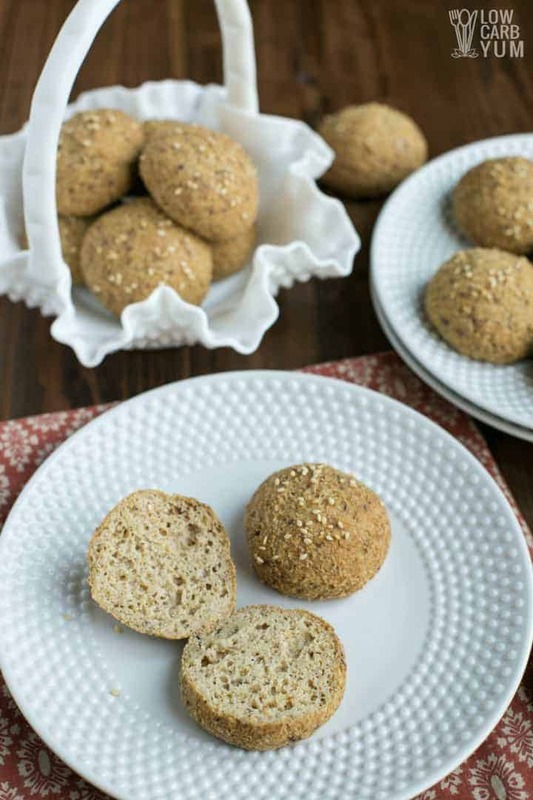 But when you’re making your own buns at home, psyllium is easier to use in my opinion. Just keep in mind that depending on the brand of powder you use, the bun can end up with a purplish hue. Don’t freak out if that happens, it’s completely natural. So let’s start and make them. You’ll be able to eat the burger without the guilt that comes from 25 grams of junk carbs! While preheating the oven to 350°F, line your baking pan with parchment paper. 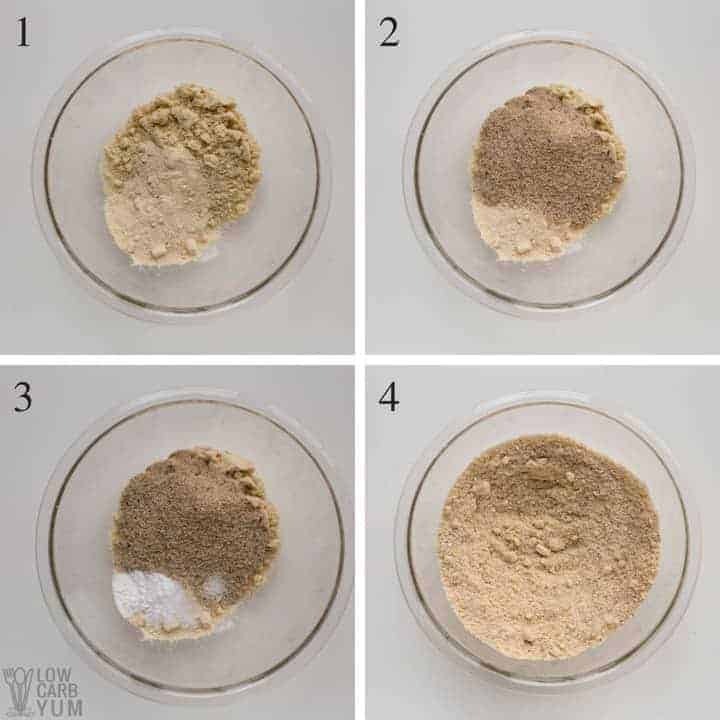 Combine the 1 cup almond and 1/4 cup coconut flours, 1/3 cup whole psyllium husks, 1 1/2 tsp. baking soda and 1/2 tsp sea salt in a medium bowl (figs. 1-4). Next, in a large mixing bowl, add a cup of hot water, 3/4 cup egg whites, and 2 tbsp apple cider vinegar. From there, you’ll want to stir the dry mixture in the medium bowl into the liquid mix in the large bowl. Allow the mix to sit until you notice it thickens. Once thickened, divide the dough into 15 equal-sized pieces. If you want bigger burgers, you can divide it into just 8 pieces. With your hands (slightly wet to prevent the “dough” from sticking to your skin), form each piece into a bun. And once the oven is done preheating, you can now transfer the buns onto the baking pan and place in the oven for 25-30 minutes. You’ll know the keto hamburger buns are ready when the edges are browned. The center of the buns will settle as well. Allow to cool for about 10-15 minutes before enjoying your burgers. 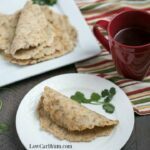 As opposed to regular rolls with 25 grams of carbs, this healthy alternative contains only 7 grams. And with the psyllium husk and almond flour, my recipe contains five grams of fiber, which means there’s only two net grams of carbs. 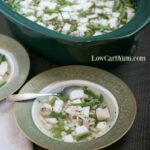 Remember I say above that with this recipe you don’t need any fermentation agents? Well, I lied. You see, in many vegan and alternative baking recipes, apple cider vinegar is added. Why vinegar? 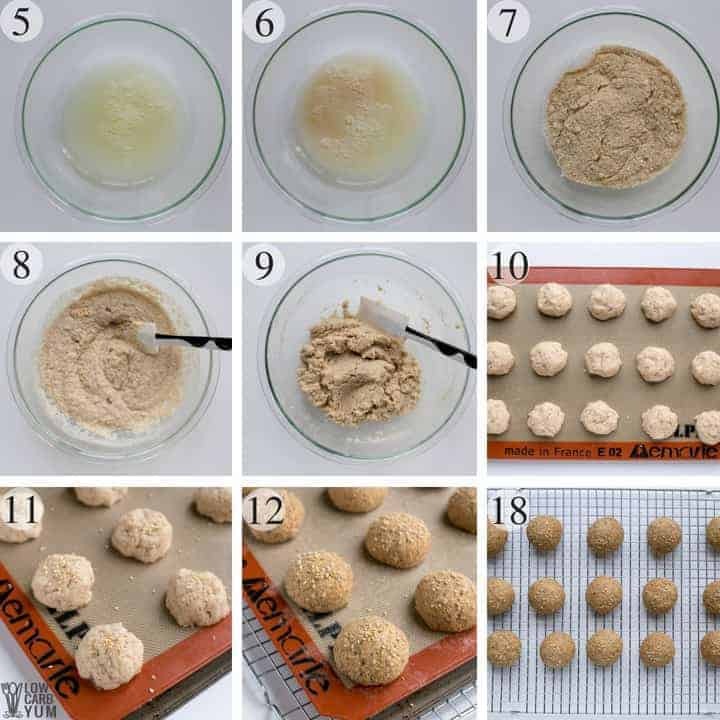 Like yeast, it acts as a leavening agent. The acids in the vinegar also help activate the baking soda in the recipe. Baking soda and apple cider vinegar are like the perfect yin/yang baking agents. Welcome back to eating burgers–without the guilt. Let me know what you think. Leave a comment below. Although I love using the recipe for keto hamburger buns, the recipe makes excellent dinner rolls too. Just make them in a smaller size. The smaller rolls are also excellent for making sliders which are great for sharing with friends on game day. Or use them for mini sandwiches. Enjoy the recipe! And if you give them a try be sure to let us know how they came out in the comment section below. Lettuce wraps are great but a true hamburger needs to have a bun. Here's how to make low carb burger buns easily at home with little prep time! Preheat oven to 350°F and line a baking pan with parchment paper or a silicone baking mat. Combine almond flour, coconut flour, psyllium, baking soda, and sea salt in a medium bowl. Set aside. In large mixing bowl, stir together hot water, egg whites, and apple cider. Stir the dry mixture into the liquid mix. It will thicken as it sits. 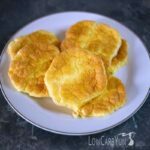 Once thickened, divide dough into 15 pieces for small keto buns or 8 pieces for larger hamburger buns. Form each piece into a bun (if dough is too sticky, it helps to use wet hands) and place on prepared baking pan. Bake for 25-30 minutes or until edges are browned and centers are set. 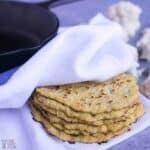 Place pan on rack to cool for 10-15 minutes and then remove the rolls from the pan and place directly on the rack to cool completely.